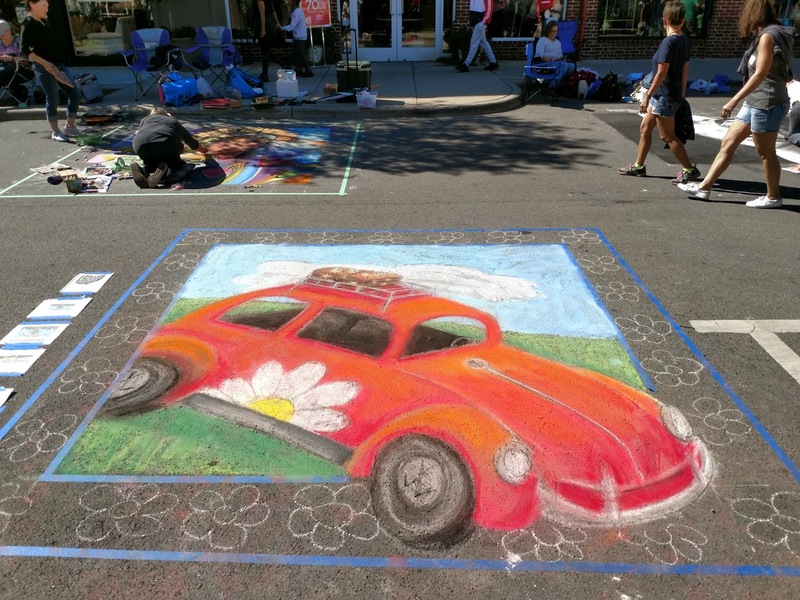 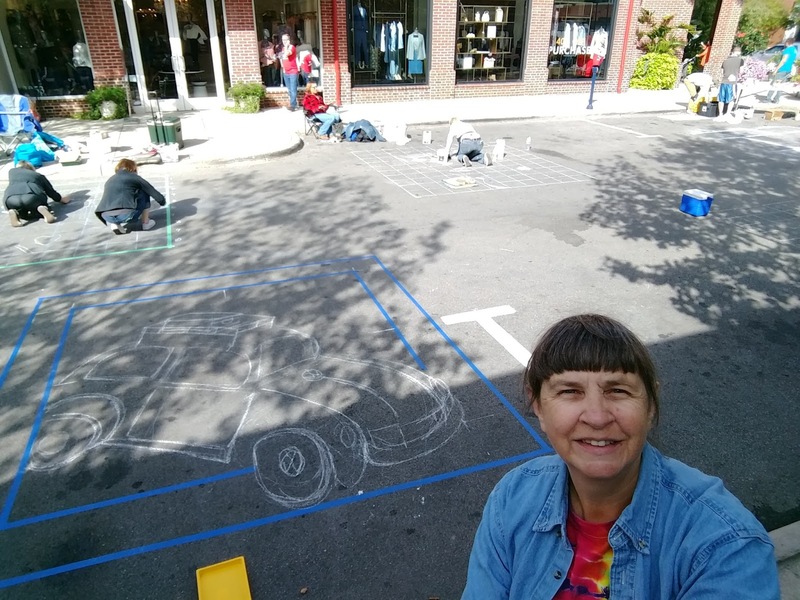 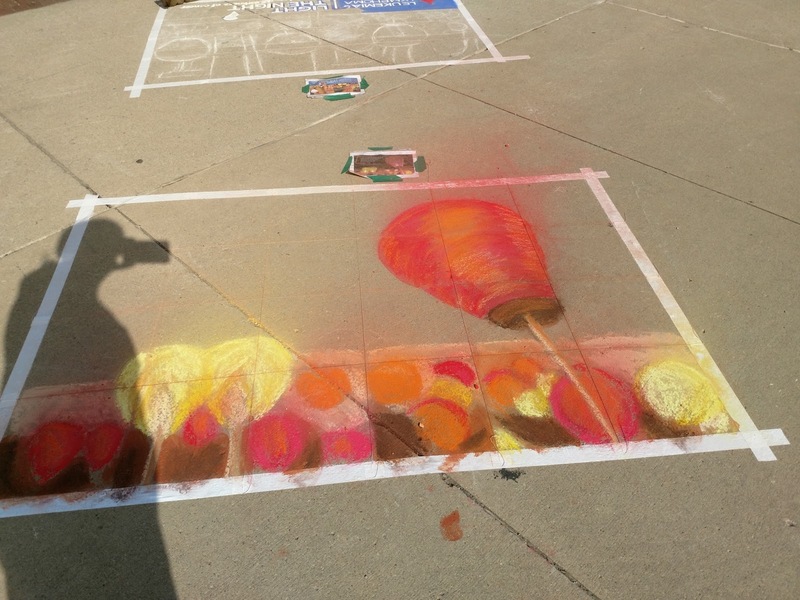 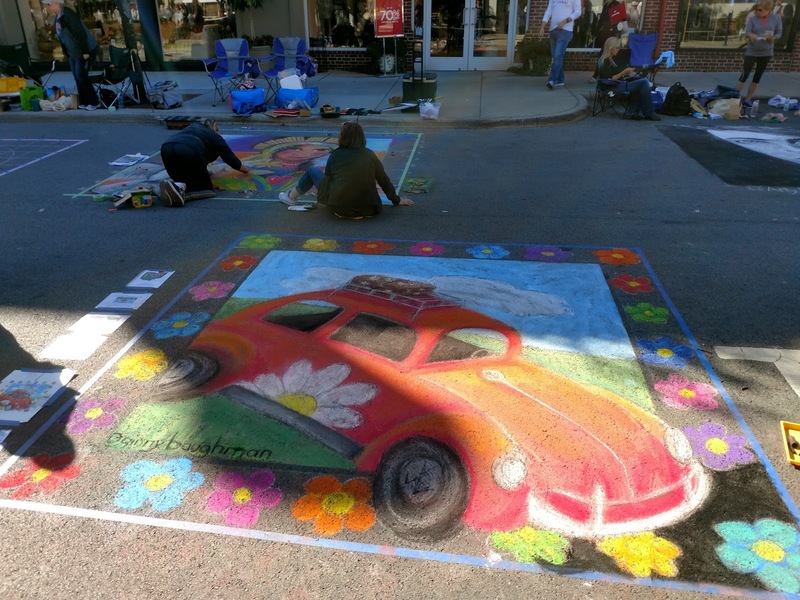 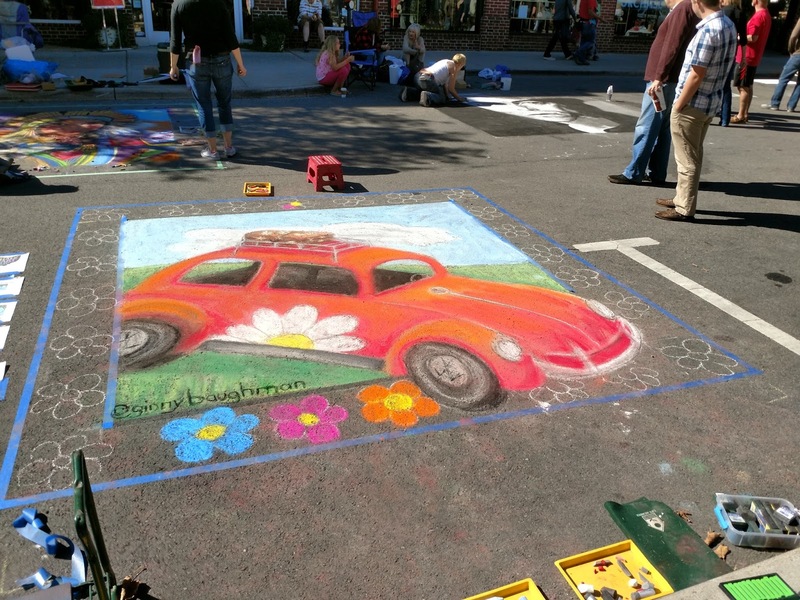 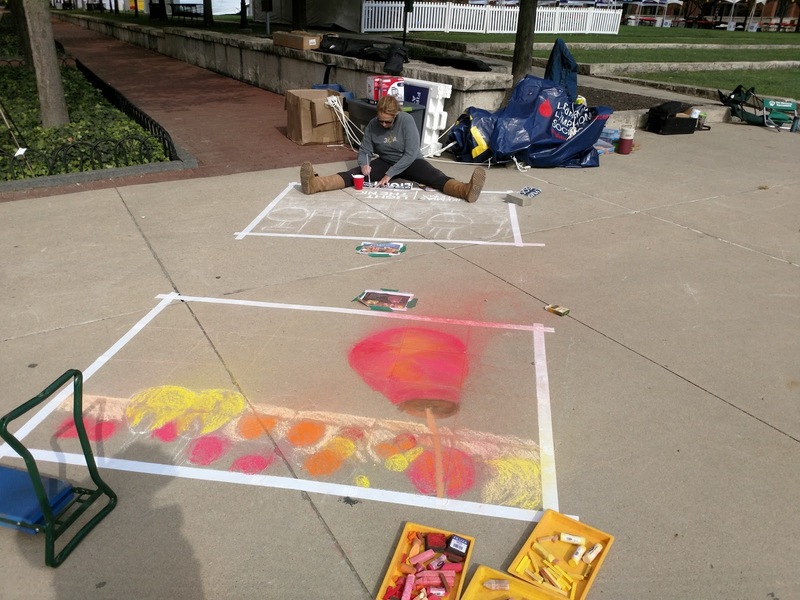 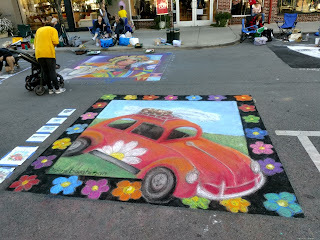 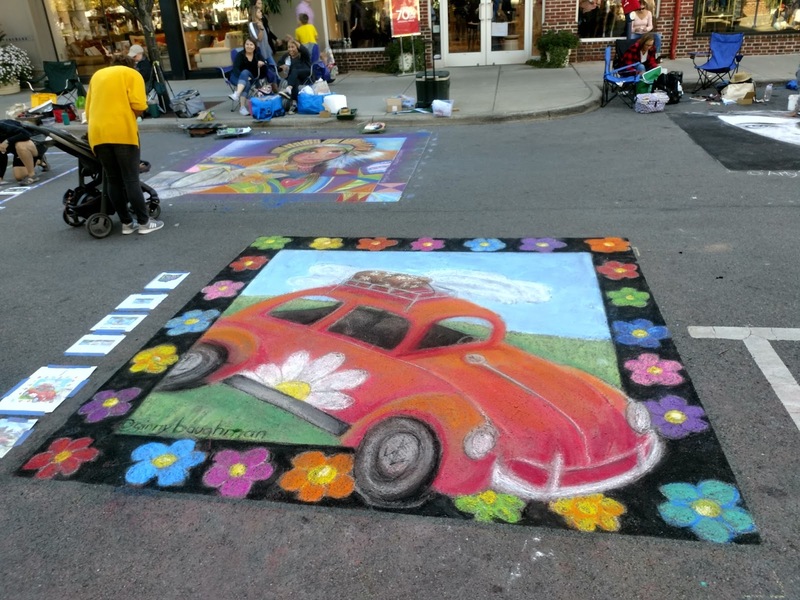 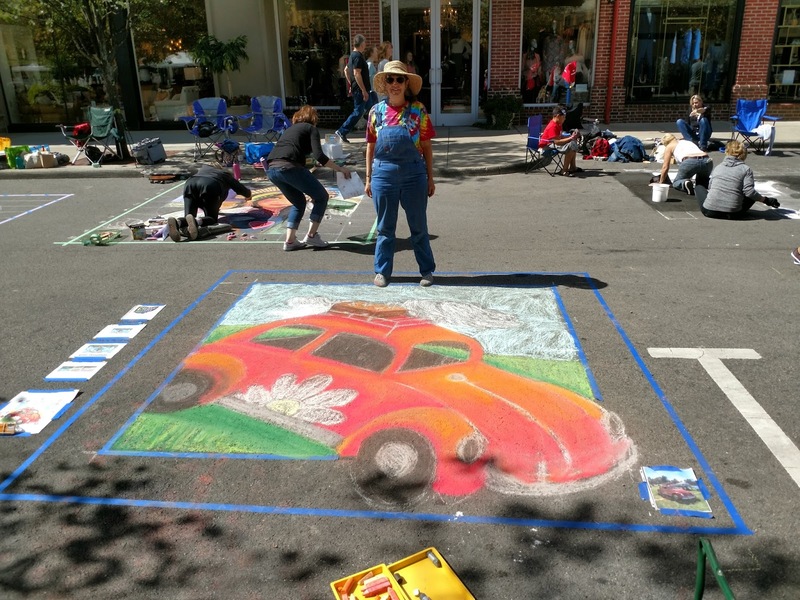 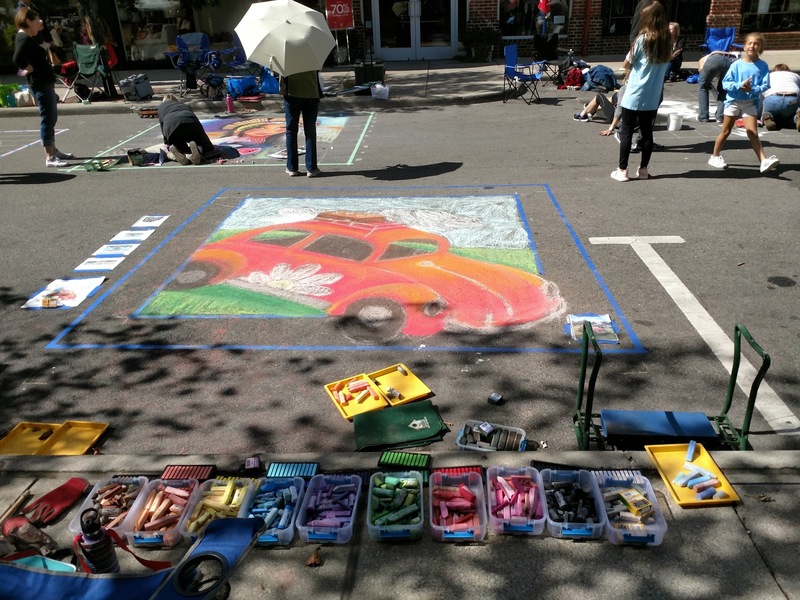 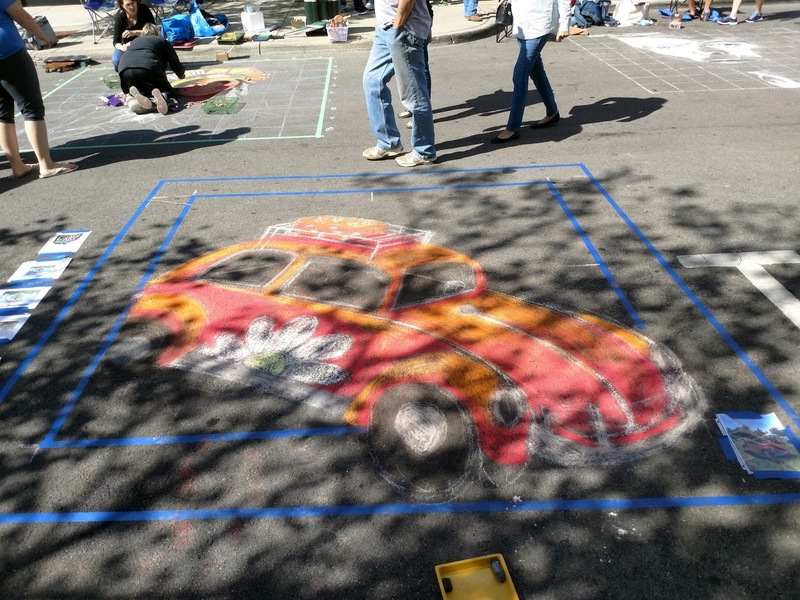 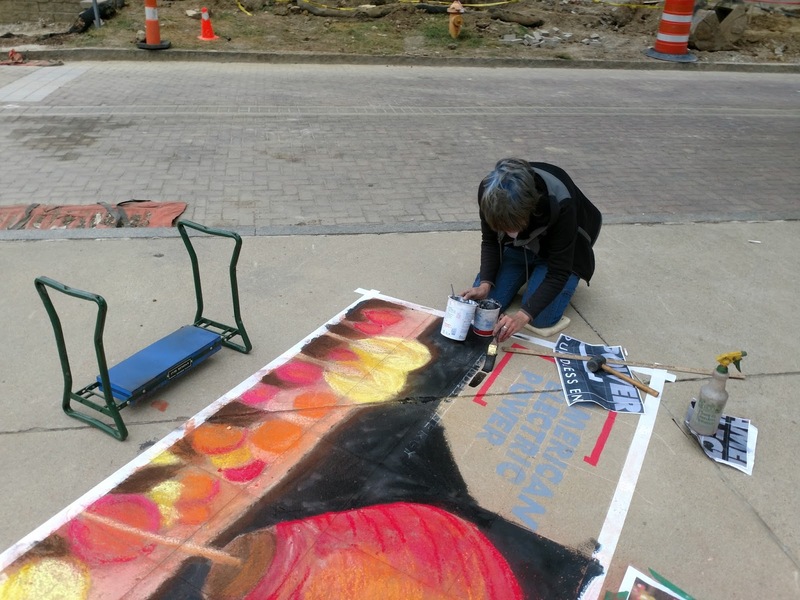 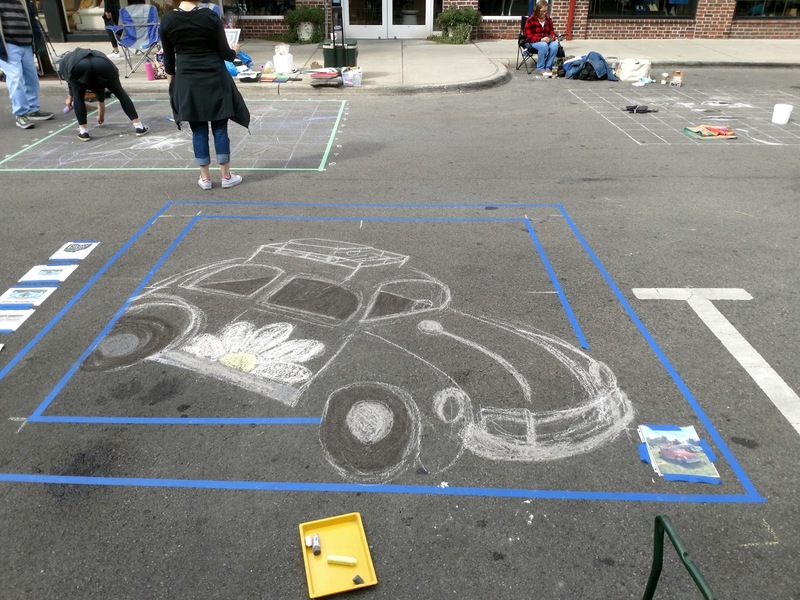 This chalk event at Easton Town Center is the best in the area. 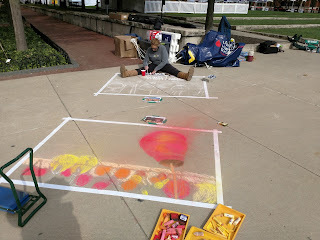 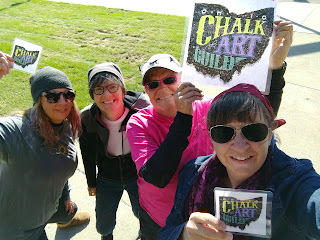 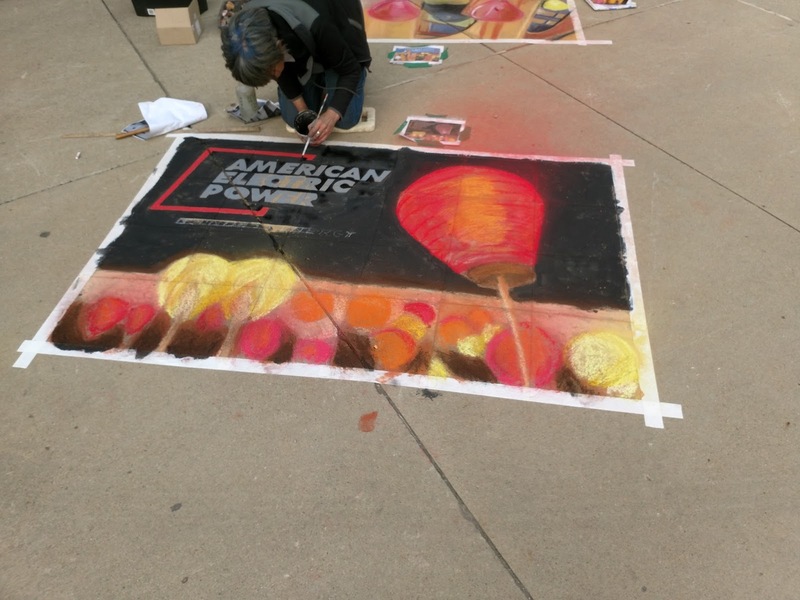 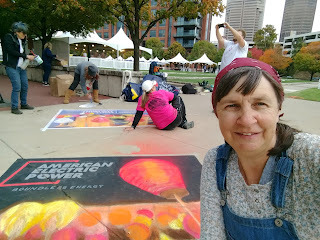 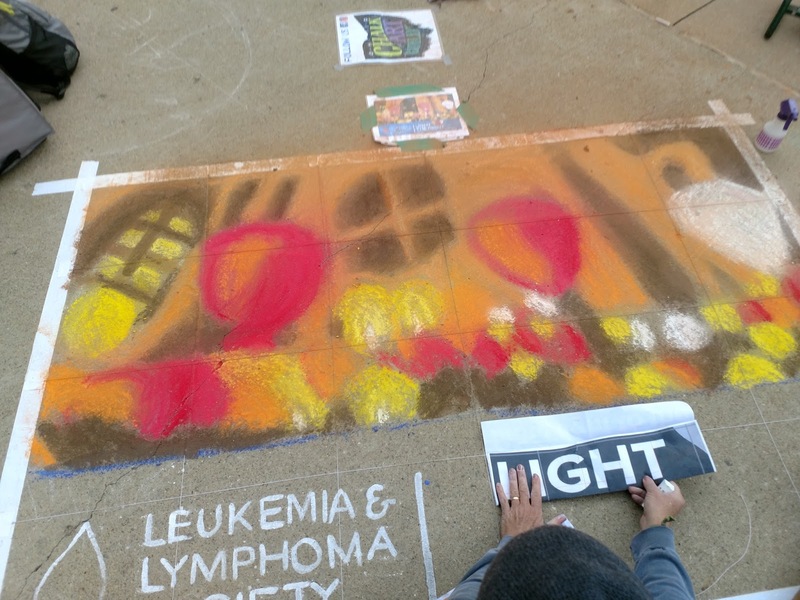 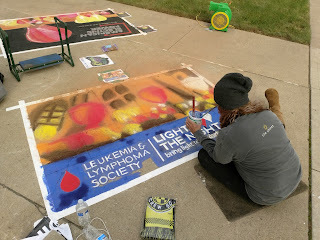 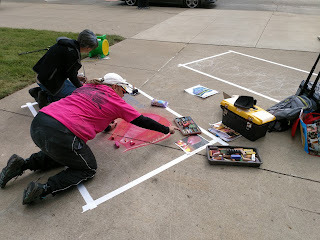 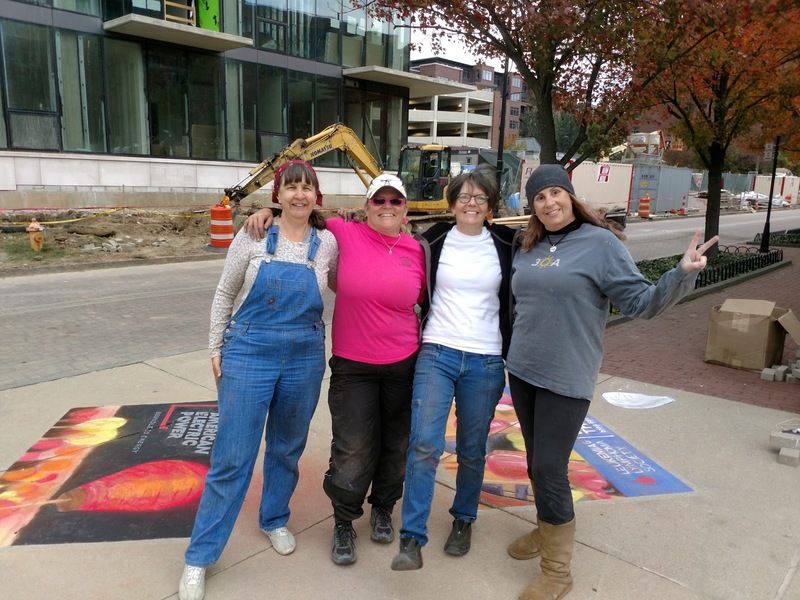 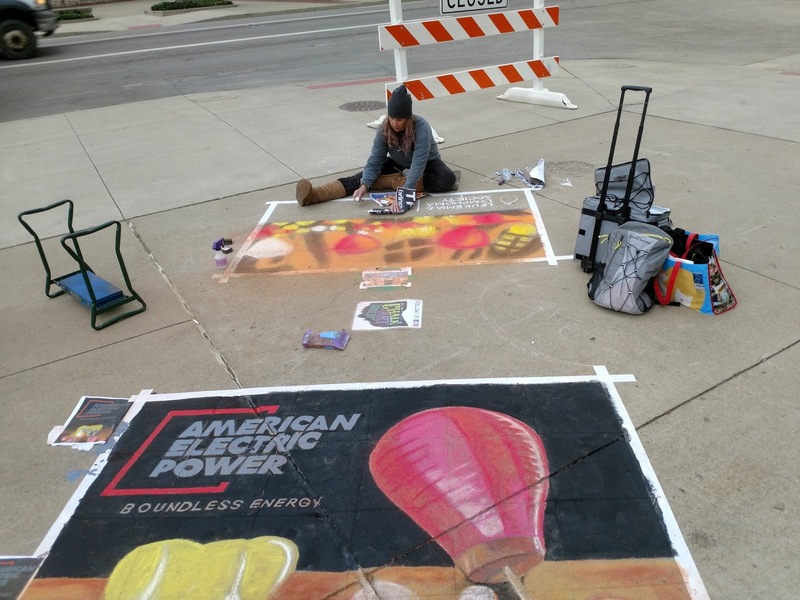 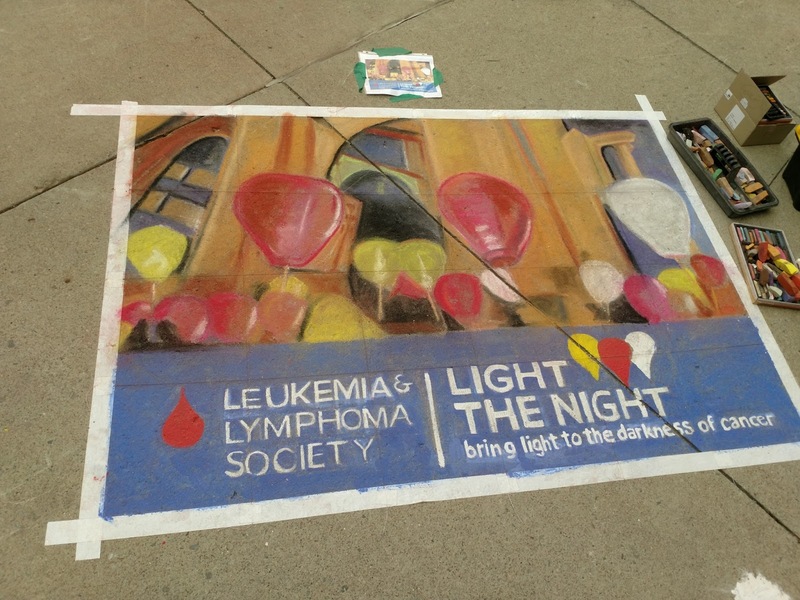 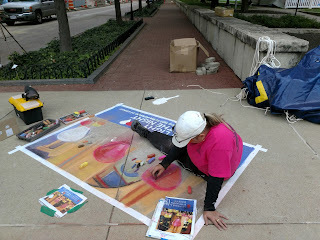 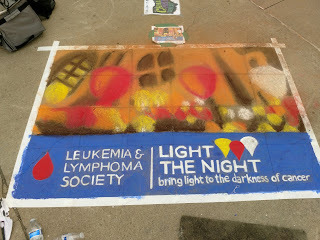 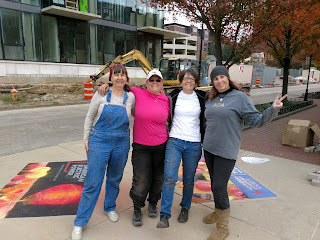 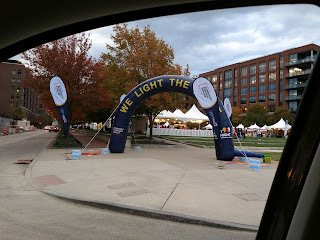 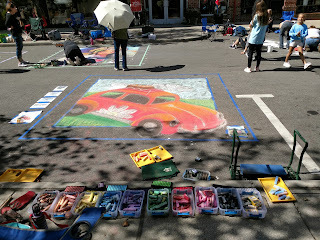 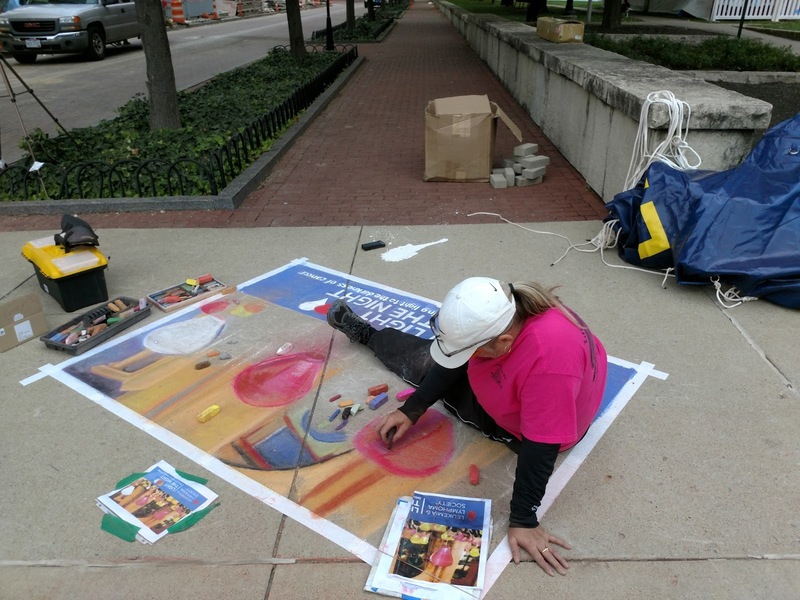 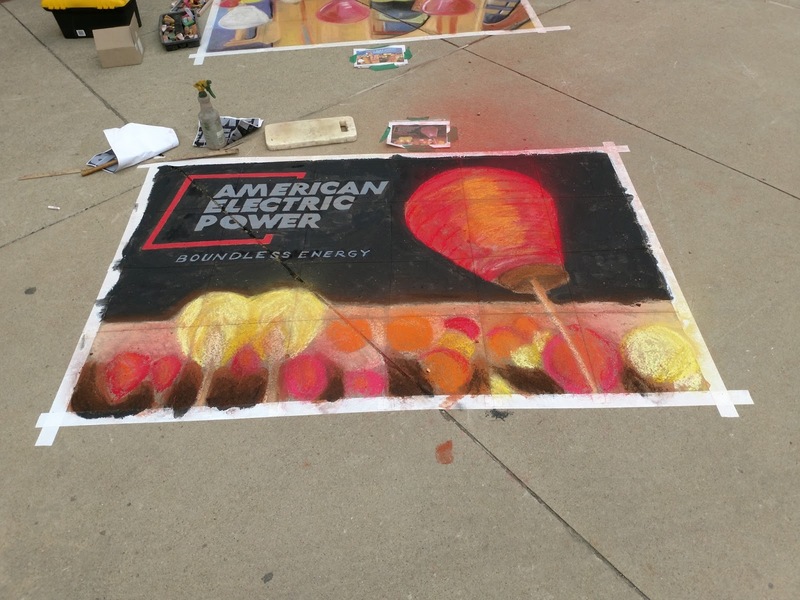 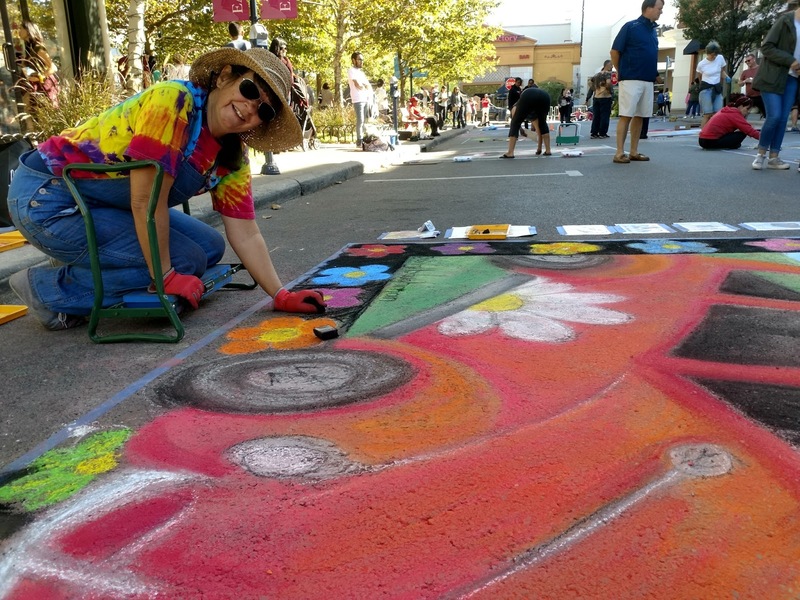 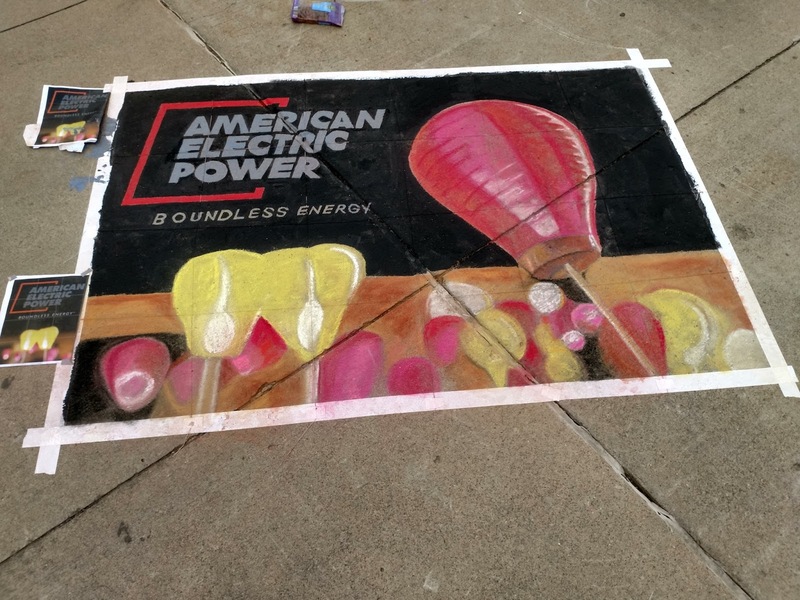 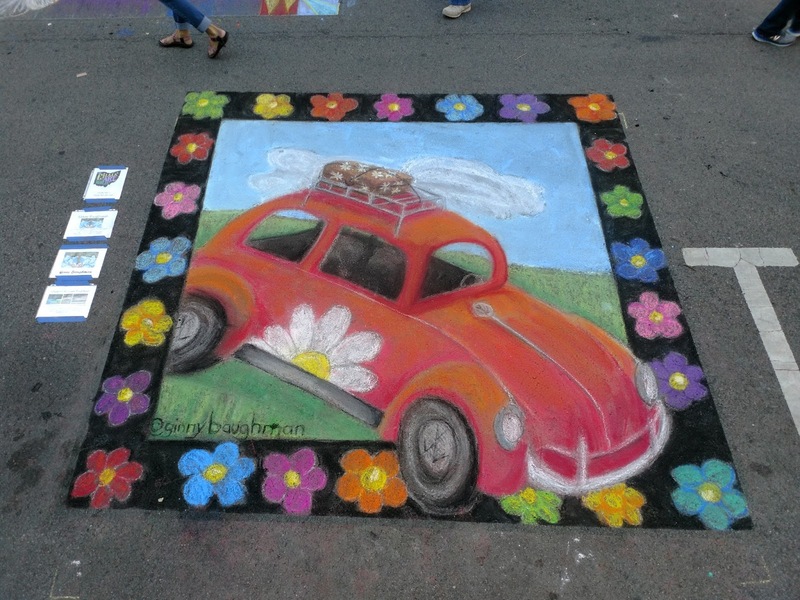 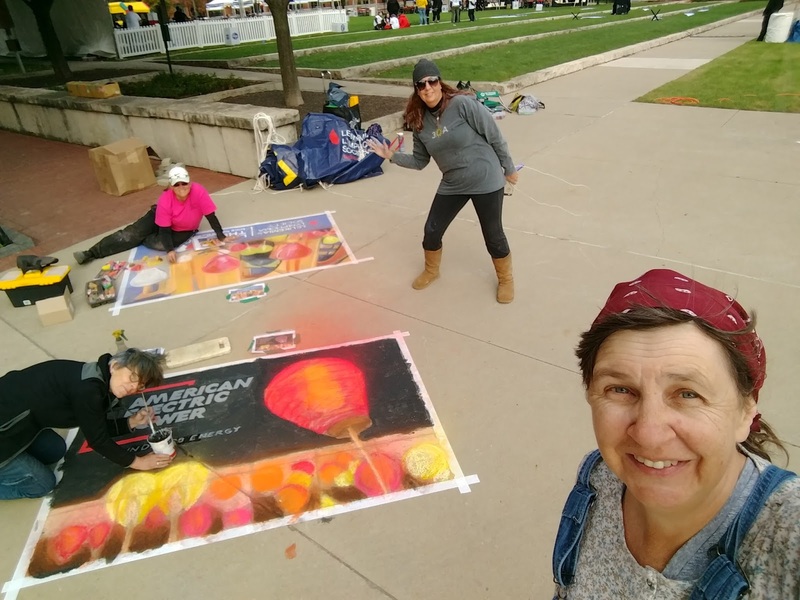 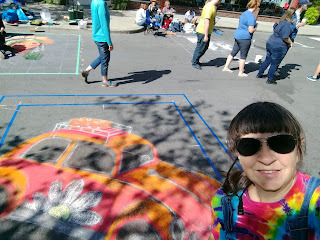 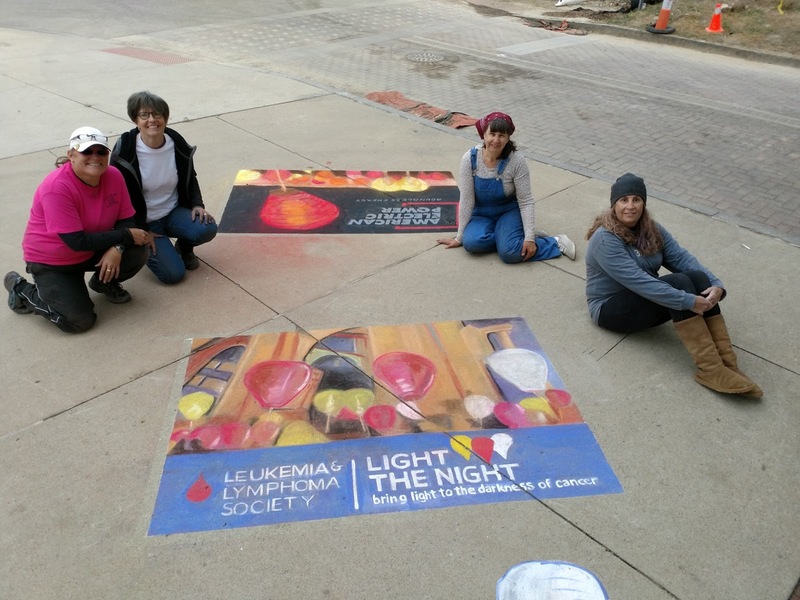 I began doing chalk art last year with this event and I'm finishing up this year with the event. 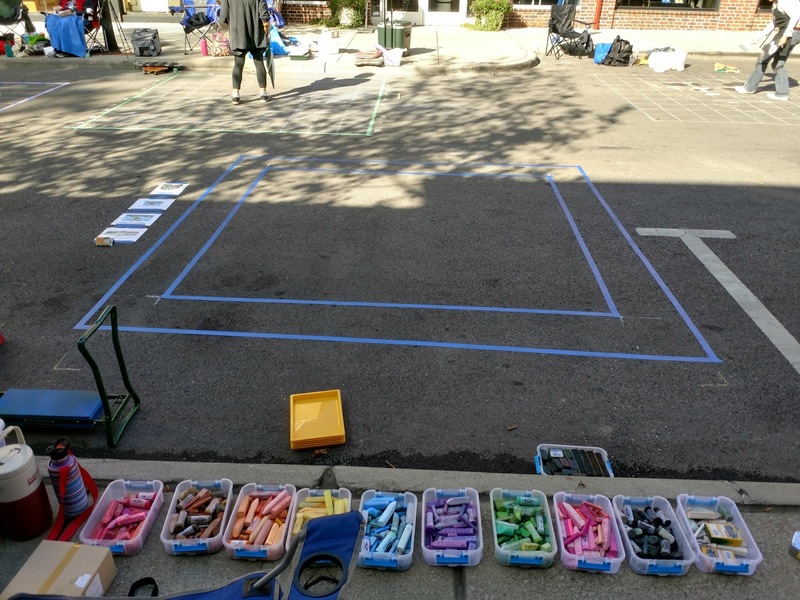 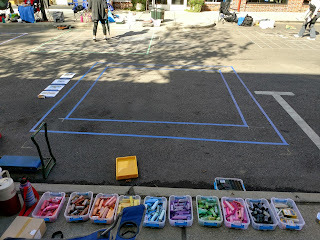 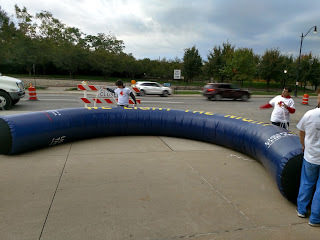 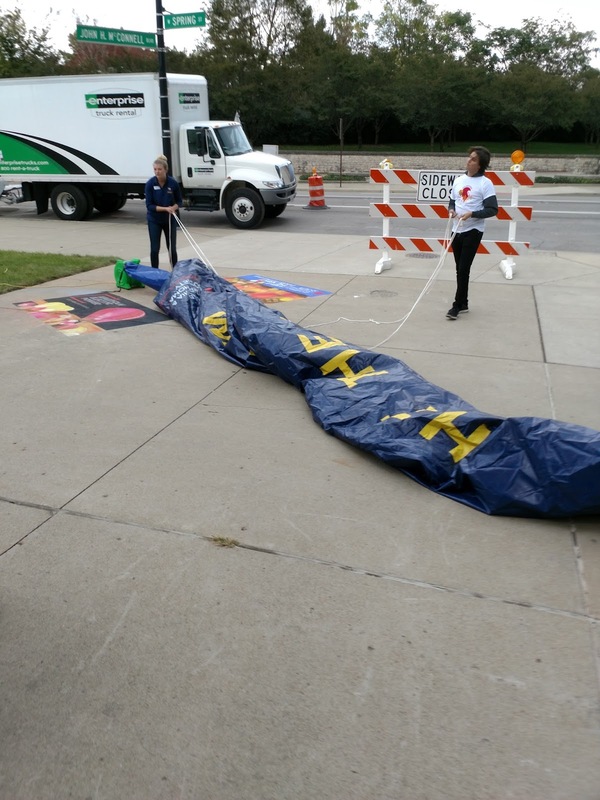 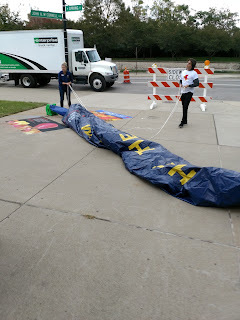 Last year I had just one chalk event under my belt and now I have 6 large events and at least 3 smaller events too. Not sure exactly why, but Easton seems to be one of the best venues for chalk art. 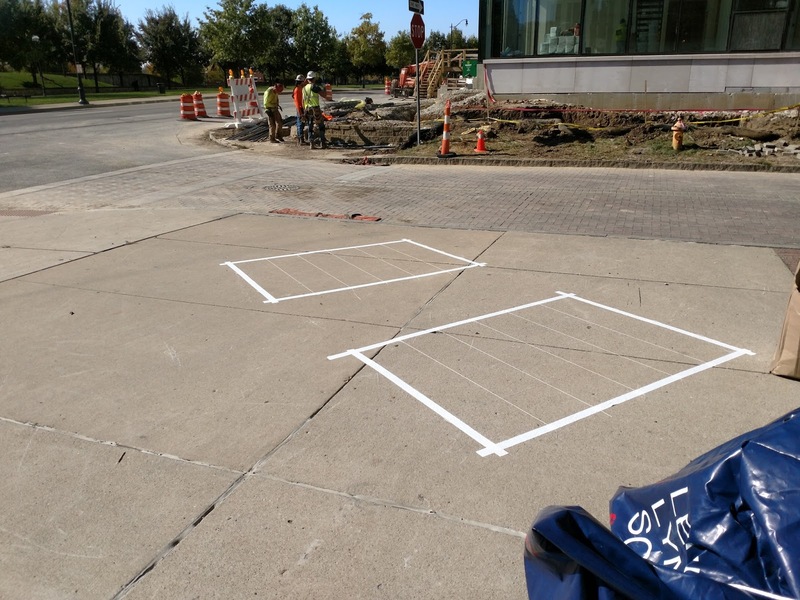 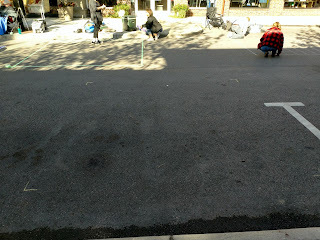 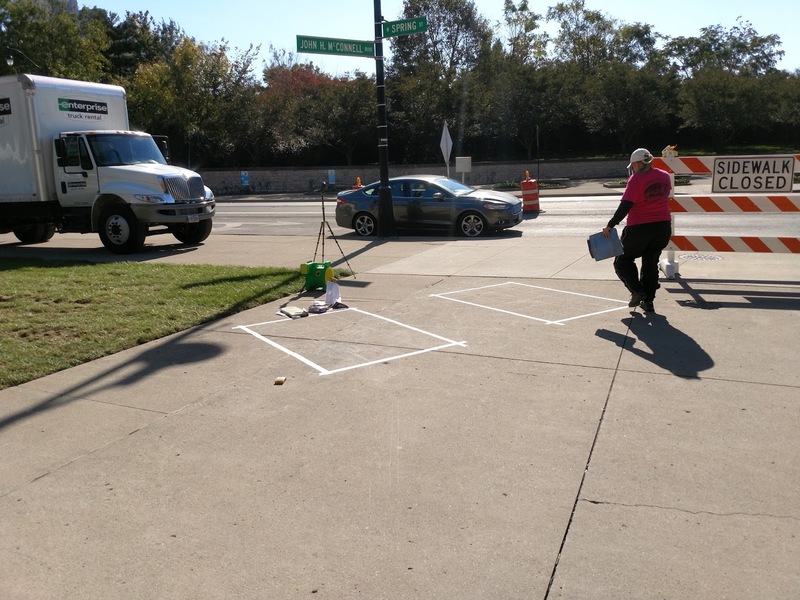 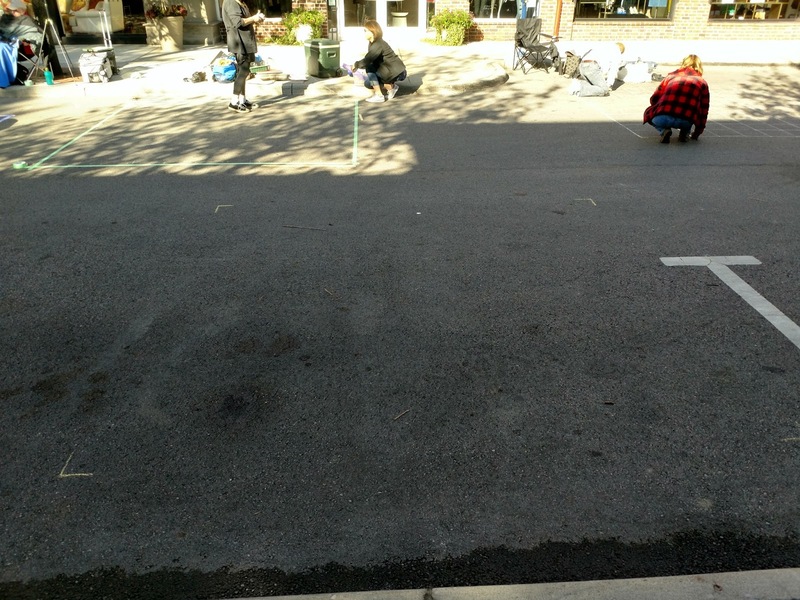 Its the best location because located on north to south streets so you get the shadows from the buildings almost all day and the surface also seems to accept the chalk very well. 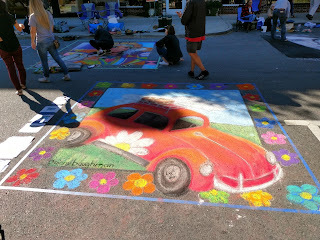 Its also at a cooler time of the year! The theme for the event this year was "Icons." I knew that most artists would do portraits. But I don't do portraits, so I had to come up with another idea. 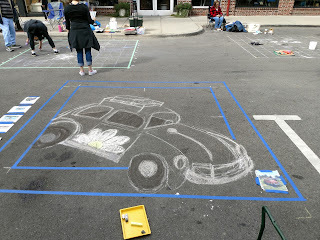 My husband suggested a car, so I decided to do an iconic car: the VW Beetle. It turned out that I was one of few artists to not do a portrait. My VW Beetle was very popular! 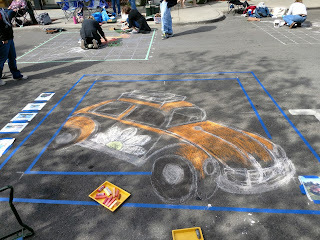 I heard several people walking by saying "slug bug!" 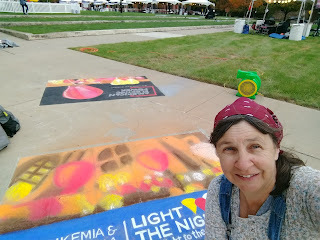 The drawing went very well and I was finished with the base of the drawing about 2:00 and then finished the flowers around the outside to be all finished about 4:00-4:30. 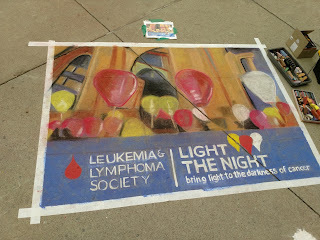 The drawing looked pretty good! 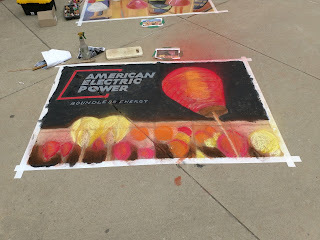 Seemed like everyone loved it! 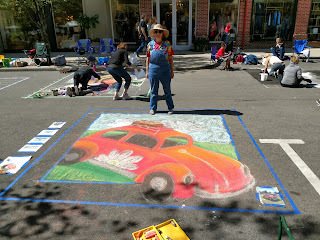 When I was all finished and we were taking pictures, it made me feel so good to see someone posing for a picture right in front of my Beetle! 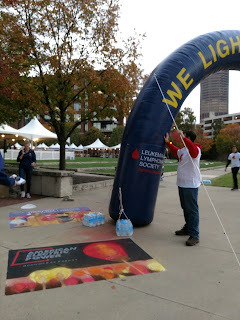 All ready to go! 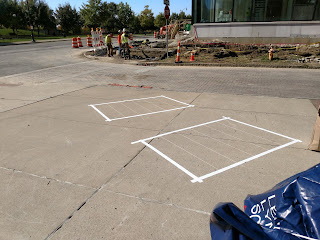 All taped off. My best chalk art yet!